The Talyllyn Railway (Welsh: Rheilffordd Talyllyn) is a narrow gauge preserved railway in Wales running for 7.25 miles (11.67 km) from Tywyn on the Mid-Wales coast to Nant Gwernol near the village of Abergynolwyn. The line was opened in 1865 to carry slate from the quarries at Bryn Eglwys to Tywyn, and was the first narrow gauge railway in Britain authorised by Act of Parliament to carry passengers using steam haulage. Despite severe under-investment, the line remained open, and in 1951 it became the first railway in the world to be preserved as a heritage railway by volunteers. Since preservation, the railway has operated as a tourist attraction, expanding its rolling stock through acquisition and an engineering programme to build new locomotives and carriages. In 1976, an extension was opened along the former mineral line from Abergynolwyn to the new station at Nant Gwernol. 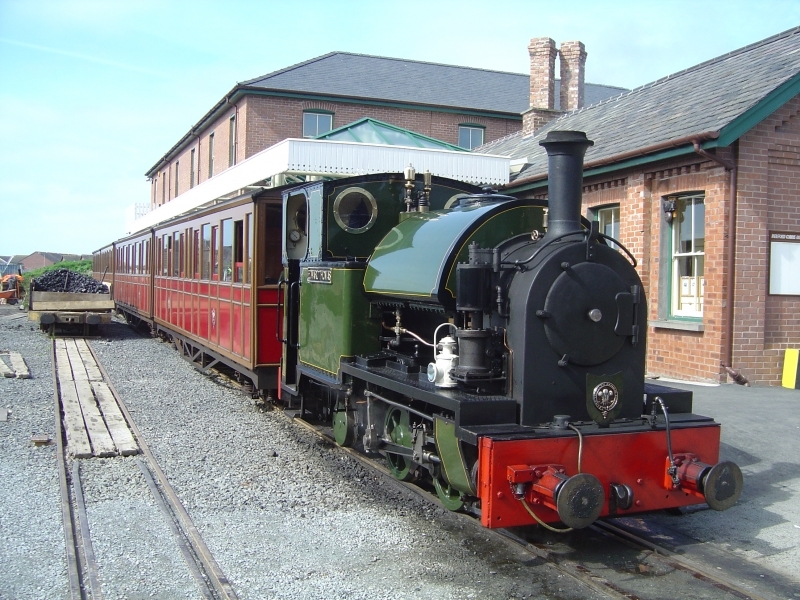 In 2001, the preservation society celebrated its 50th anniversary, and in 2005 a major rebuilding and extension of Tywyn Wharf station took place, including a much-expanded facility for the Narrow Gauge Railway Museum. The fictional Skarloey Railway, which formed part of The Railway Series of children's books by The Rev. W. Awdry, was based on the Talyllyn Railway. The preservation of the line inspired the Ealing Comedy film The Titfield Thunderbolt. Please give us your overall rating for Talyllyn Railway.